H.13334 - Exceptional value - look no further! A brand new roof. A brand new screen enclosure. An over-sized 3.5 bay garage. Huge sunny outdoors for poolside relaxation. 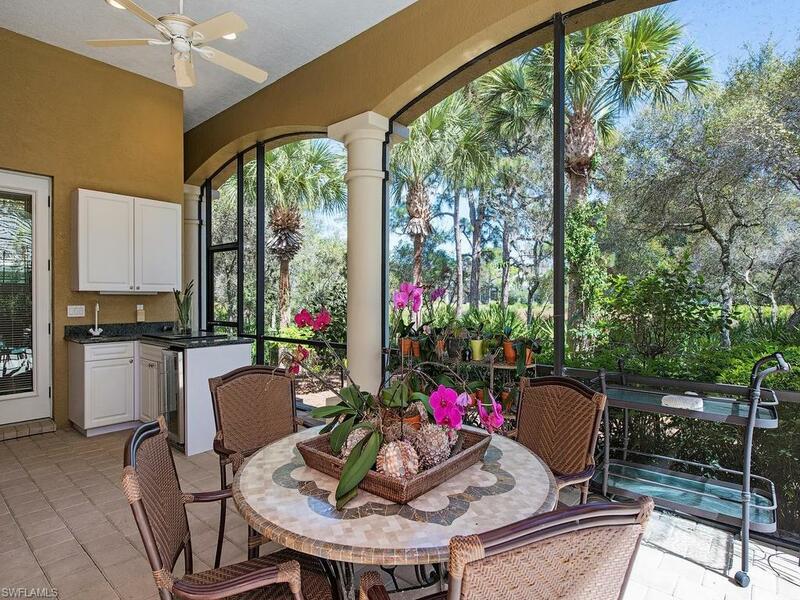 This gracious golf estate on hole #8 has it all, from a spacious design for open-plan living, to soaring ceilings for light and bright interiors, to beautiful marble and wood floors. You'll love the chef's island kitchen showcasing two pantries, a plannng desk, stainless appliances inc. double ovens, granite tops and custom wood cabinetry with lots of pull-outs. The master is a dream suite, featuring a sitting area, two sets of French doors to the lanai, two over-sized His & Her wardrobes, and a marble bath with two large dual sink vanities, make-up vanity alcove, deep soaking tub, dual-head shower, commode room inc. bidet, two linen closets, and tankless water heater. 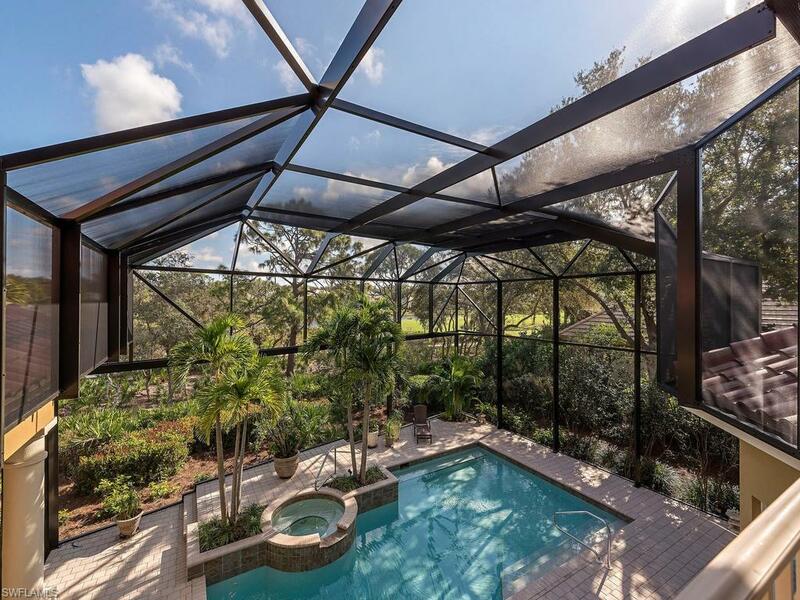 Nestled against a fenced backyard that is framed by naturally preserved foliage with golf and lake scenery beyond, privacy abounds on the pavered lanai where a large pool with spa and raised sundeck take center stage. This jewel lives comfy & cozy and entertains in style, too! Call the Resident Agent for a tour of the brand new club facilities.